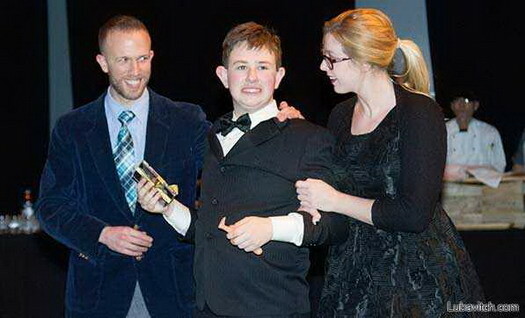 Josh Madoff, of the Chameleon Music School, presents a CD to an aspiring musician with special needs. 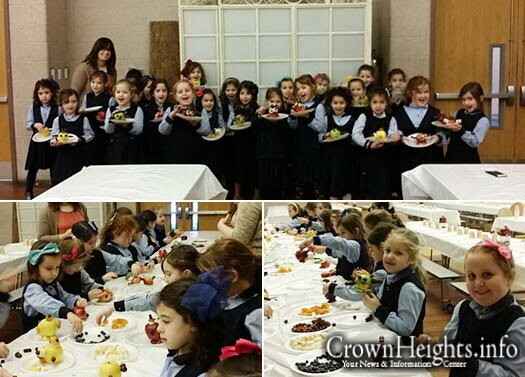 Students of Morah Nechama Dena’s 1st Grade Bais Rivkah class enjoyed a special Tu B’Shvat activity where they made fruit-themed Tu B’Shvat projects. 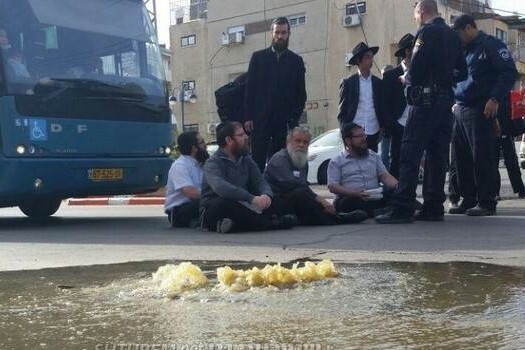 This morning, residents of Nachlat Har Chabad, a neighborhood in the city of Kiryat Malachi in southern Israel, woke up to a commotion – several of their fellow residents were blocking traffic in protest. 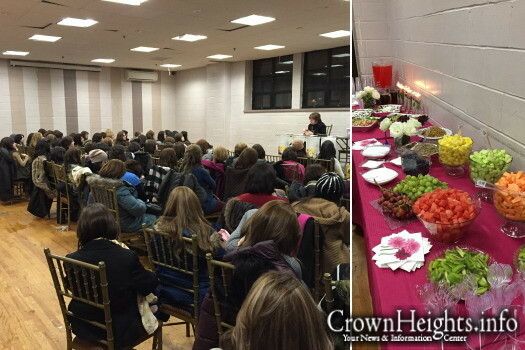 On Tuesday night, 14 Shvat – despite the bitterly cold weather and iced-over sidewalks – over 130 Crown Heights women came together to be inspired at a Jewish Bride Institute event featuring Chana Epstein, a renowned marriage counselor, who has a unique brocho from the Rebbe to discuss intimacy. 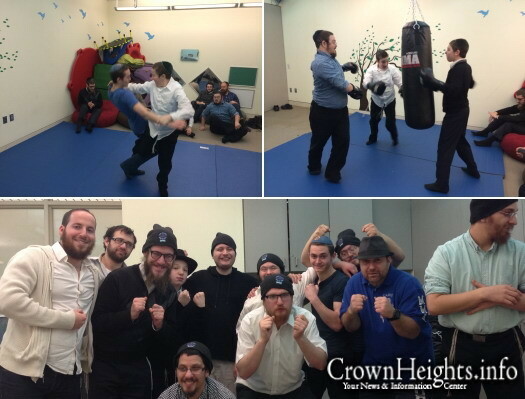 The Boys Division of the Friendship Circle of Brooklyn recently completed a four part MMA (Mixed Martial Arts) class. 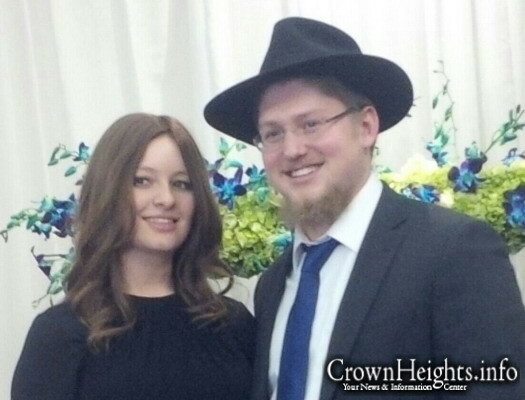 An SUV belonging to a member of Crown Heights Hatzalah was stolen late Tuesday night. The vehicle contained the volunteer’s lifesaving equipment and emergency warning lights. 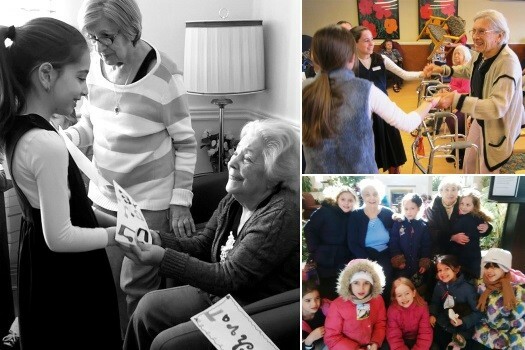 Picture of the Day: Act of Kindness or Crime? 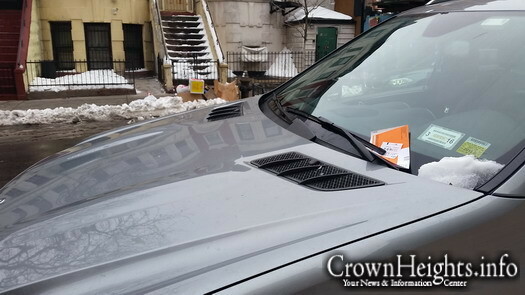 A CrownHeights.info reader witnessed a random act of kindness – or lawlessness, depending on your view – by a stranger in Crown Heights last week. Noticing that a parked car had received a ticket for lacking a meter slip, the man quickly purchased one for him and placed it on the windshield next to the ticket, enabling the car-owner to effectively fight the ticket in court by claiming he had paid the meter within the allotted five-minute time-span. 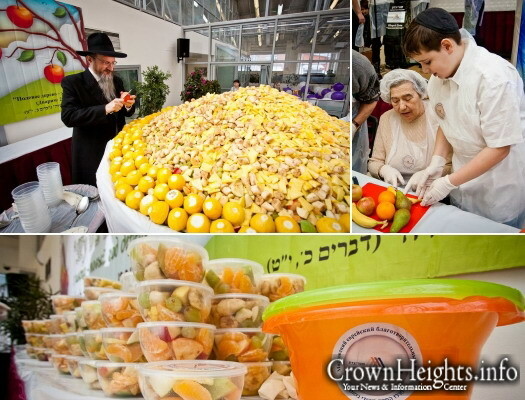 Hundreds of residents at the Shaarei Tzedek Chessed Center for the elderly in Moscow created the world’s largest fruit salad in honor of Tu B’Shvat. Forty-five years ago, on Erev Yud Shvat 5730, the Rebbe concluded the writing of Moshiach’s Sefer Torah, the writing of which was begun by the Frierdiker Rebbe in 5702, and was never finished. 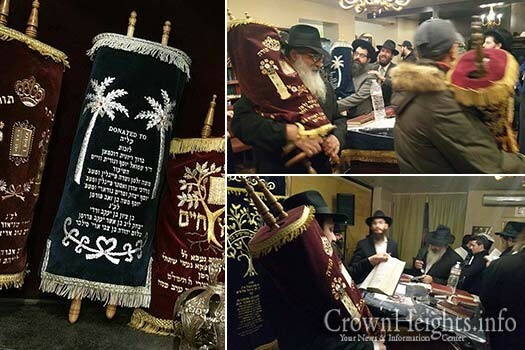 To commemorate this historic event Aliya welcomed a new Sefer Torah. With great sadness and pain we inform you of the passing of Moshe Kanofsky, OBM, a beloved father and grandfather. 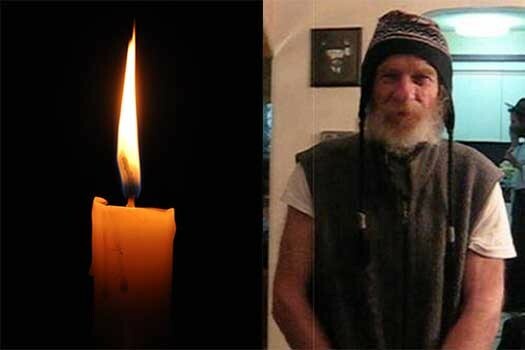 He passed away today, Tu b’Shevat, 5775, two months after he was critically injured in a car crash. He was 73 years old.